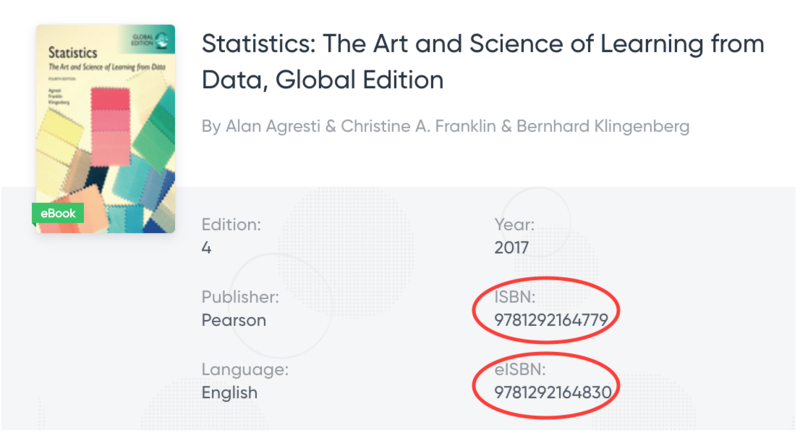 If you’re unsure whether Lix offers the right books for your course, simply check the ISBN or eISBN numbers listed on your syllabus. This way, you can easily verify if the numbers match the ones listed on your syllabus. See the example below.